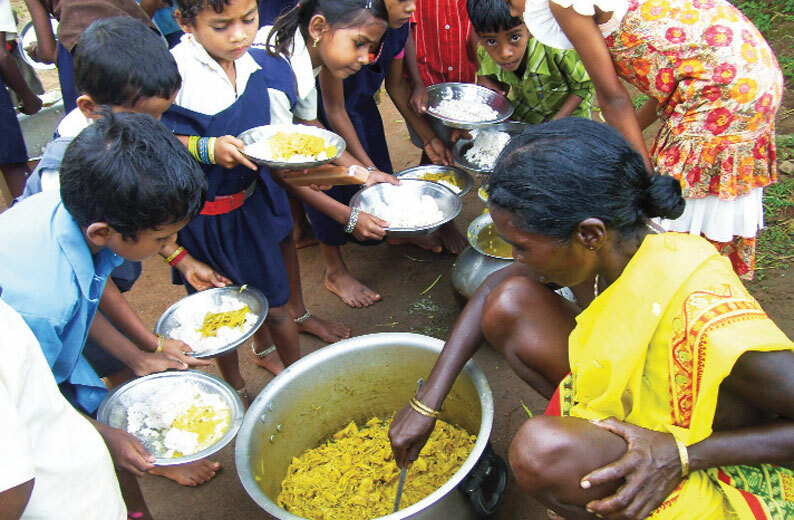 Twenty years after the National Programme of Nutritional Support to Primary Education or popularly known as the mid-day meal (MDM) scheme was launched in August 1995, the scheme seems to have failed to achieve its twin goals: to increase enrolment in primary education in government schools while ensuring nutrition level of children. The latest audit report of the Comptroller and Auditor General (CAG) of India indicates that enrolment in government schools where the MDM scheme is in force has been declining in the last five years. This indicates that the strategy of the scheme to lure children to primary education by ensuring food is not working. On the other hand, the CAG report finds that children are not getting even the recommended basic minimum quantity of food. It has definitely hampered the nutritional level of children, the second primary goal of the scheme. Under the MDM scheme, each child is entitled to cooked meals with minimum 300 calories and 8-12 grams of proteins and adequate quantities of micronutrients. The number of children enrolled in the MDM scheme has come down from 146.9 million in 2009-10 to 138.7 million in 2013-14. According to CAG data, during the same period, enrolment in private schools has gone up by 38 per cent: from 40 million in 2009 to 55.3 million in 2013. “(This indicates) that MDM in itself was not a sufficient condition to retain children in schools, and that there is a growing section of society seeking better quality in education,” says the CAG report. “In most of the test checked schools, prescribed inspections were not carried out to ensure Fair Average Quality of foodgrains and quality of midday meal served. Most schools sample checked in audit were lacking in infrastructural facilities like kitchen sheds, proper utensils, availability of drinking water facility etc. There were numerous instances of food being prepared in open and unhygienic conditions exposing children to health hazards,” finds the CAG audit. In nine states, the audit found, schools were not providing the prescribed nutrition. In Delhi, in 89 per cent of the food samples failed to meet the prescribed standards. In 2002 the Supreme Court ordered that states should provide cooked meal to the primary school children for at least 210 days in a year. The audit report found that in most of the states this order was violated.